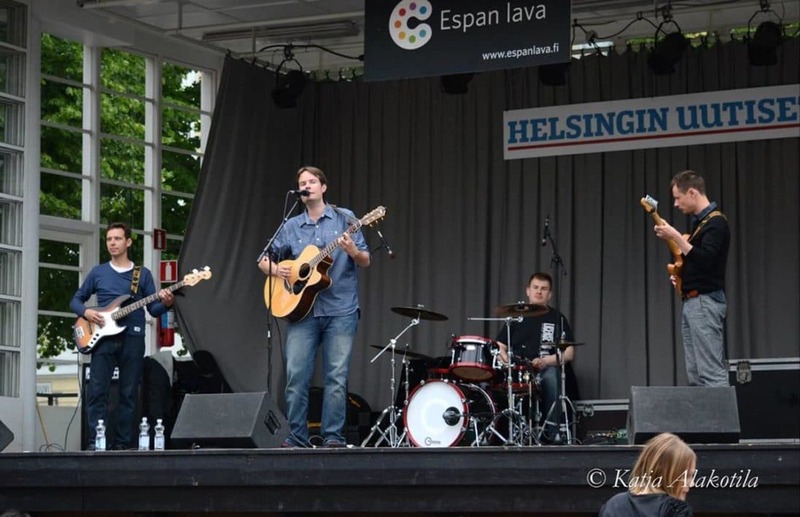 Have you already heard about the Finnish band “Alex ja Armottomat” from Helsinki? If not, you should check out their music on Spotify! Most of their songs deal with love and other pretty dark topics like obsession or murder and have their typical „Alex ja Armottomat twist“ in the lyrics. I talked to the band members Alex Nylund and Moritz Cartheuser in order to get to know more about the band, their music style and their upcoming plans for 2019. What is the meaning of your band’s name “Alex ja Armottomat”? How would you describe your music? What are your songs about? We don’t have any specific theme for our songs. We play quite a lot of different songs. Some blues, folk, rock and pop songs. Some of our songs deal for example with love, obsession or some other strange things. I think the aim is to keep gigs interesting with different styles, but with our own sound. The stories also vary a lot. But most of our songs have some special “twist” in the lyrics and this “twist” should be something that is not obvious. I am a big fan of dark humour, so quite often I try to make the twist about death, madness or some other pretty dark things. Are you singing only in Finnish? At the moment I sing only in Finnish, unless it is Karaoke. I have not tried to write any lyrics in English yet. And what about your songs? Do you write all of them on your own? I could say yes. But we have one cover song called „Melankolia“ of the Finnish folk singer J. Karjalainen too. (VIDEO: Alex ja Armottomat) Alex ja Armottomat live on stage with their Song „Juoppohullun Lokikirjat“. Since when does your band exist and how did you find each other? As I mentioned before, I played with totally different people as a trio more than four years ago. However, the drummer moved to Germany and the bass player had too many other projects, so I was left alone. I started to look for some new band members from the Internet and found lead guitarist Moritz and drummer Kristian. Tommi, the bass guitar player, is my colleague. In this constellation we are playing togehter for about three and a half years now. And then last year Juha joined our band with his keyboard, which is pretty cool! Does anybody of you have a musical background? I think Moritz is the only one of us who actually studied music and graduated from music school. The rest of us have only been practising music as a hobby. What about you Moritz? Have you ever dreamt of living in Finland and become a famous musician? I was born in Celle and grew up in Mainz. After my highschool degree in Germany, I started to study music in Würzburg and later at Jazz Institute Berlin. I learned to play the guitar, when I was a child and I taught myself the ukulele too. If you know how to play the guitar, learning to play the ukulele is very easy. When I fell in love with a girl from Finland, I decided to move to Helsinki. During this time I started to learn Finnish too. Sure, sometimes I’m just thinking to move back to Germany, because my family and some friends are living there. But to be honest, Helsinki had just become my second home! Moreover, I started my studies of social work at Metropolia Univesity of Applied Science and I will graduate this year. It has ever been my dream to have a job, where I can help other people but with which I can also combine my desire for music. At the moment I am working in a reception center run by the city of Helsinki and as a musician and guitar teacher. (VIDEO: Alex ja Armottomat) Alex ja Armottomat performing the childrens‘ song „Tipsuliini -peloton seikkailija“. And where in Finland do you play live gigs? Most of our gigs have been in Helsinki central area. Some individual gigs we have been also playing outside Helsinki. And what was your most fantastic gig or location ever? One of the best locations has definitely been Espan Lava. This is a big outdoor stage in the middle of Helsinki with great possibilities to get new audience, if the weather is good. Very professional staff and a wonderful place to play music. But maybe the best gigs we have had in a small pub called Bar Mendocino. The personal atmosphere there has always been amazing. Did you already have live gigs abroad? If not, where would you dream to play live on stage? Would you like to come to Germany for some gigs too? So far, we have only played in Finland. The challenge is, that we only perform Finnish music. 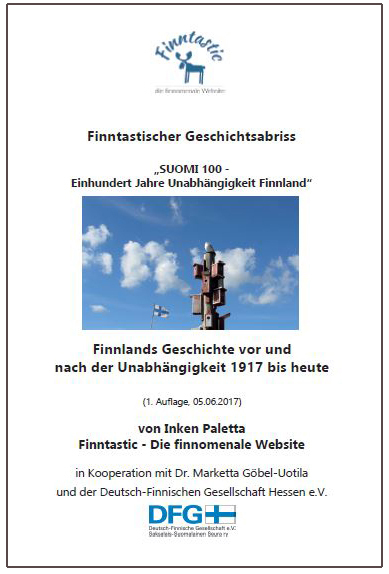 Of course, if it is possible to perform for some Finnish community abroad, for example in Germany, it would be awesome. So definitely we would like to come for a gig to Germany. In march 2016 we have published one album called „Juoppohullun Lokikirjat“ with five songs and you will find two other singles like „Elämäni Kesä“ on Spotify and ITunes. We have also made one professional music video. Check out the “Sateisena Sunnuntaina -music video” on Youtube with English Subtitles and pay attention to the story. And you will find some pretty nice live videos on our Youtube channel too. (VIDEO: Alex ja Armottomat) The video of the single „Sateisena sunnuntaina“. What are your plans for the year 2019? We have been practicing lately with our new keyboard player Juha Ahvenainen and also played some gigs with him. We also plan to release Alex‘s song „stalkkeri“ as soon as the music video will be ready…So look out for that! Thank you for the nice interview. I am looking forward to hearing your new single. It would be also great to see you live on stage, when I will be in Helsinki for the next time. Your’re welcome! Just let us know when you are in town again! (FOTO: Alex ja Armottomat) Alex ja Armottomat are a rising pop and rock band from Helsinki, which is famous for their special dark „twist“ in the lyrics. Alex ja Armottoat is a pop-rock band from Helsinki, founded in 2015. The band’s name “Alex ja Armottomat“ means in English something like “Alex and the Ruthless”. And this is exactly the motto of the band’s music and lyrics. 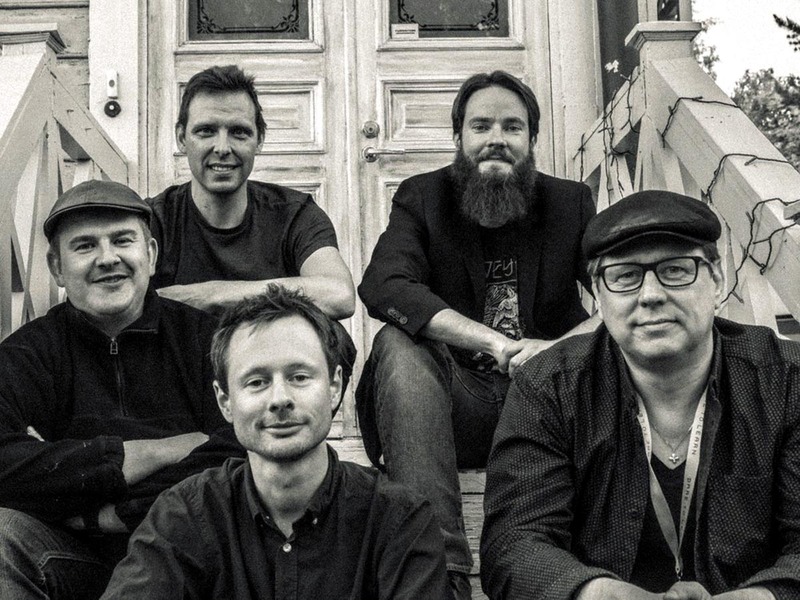 The five musicians from Helsinki know how to combine powerful melodies with Finnish wordplays, sarcasm and dark Finnish humour. 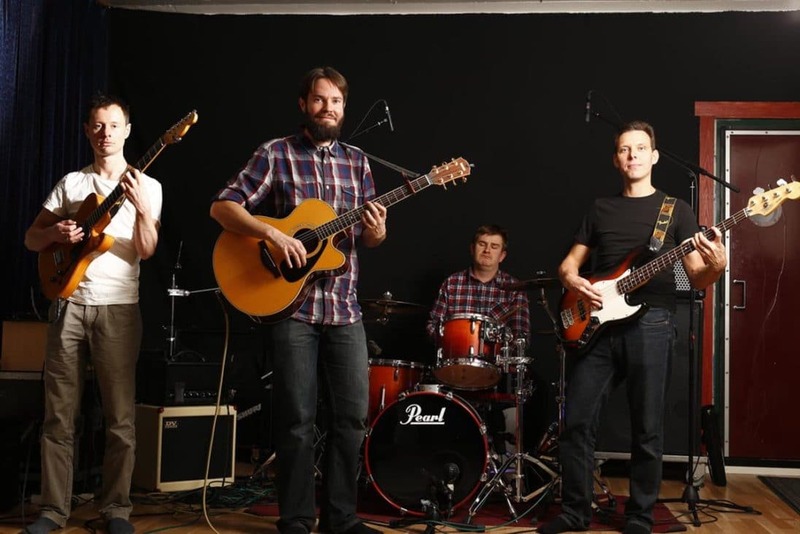 Their music style is a trendy mix of folk, rock and pop music as well as blues. Among other topics, most of their songs deal with love, obsession and murder and have this typical dark „ twist“ in the lyrics. Also disabuse of alcohol is discussed in their songs. But two children songs are also part of their musical repertoire. The two songs are “Maailman kuningas” and “Tipsuliini – peloton seikkailija”. The band plays also a nice cover of „Melankolia“, a song of the Finnish folk singer J. Karjalainen. Alex ja Armottomat is a symbol of the Finnish-German friendship too, because lead guitarist Moritz Cartheuser, who is responsible for the rocking guitar chords, is originally from Germany, but has Finnish roots too. Together with Alex Nylund (vocals, guitar), who writes all the powerful songs, as well as with Kristian Ahlfors (drums), Tommi Mustonen (bass guitar) and Juha Ahvenainen (keyboard) the band has already played in several well-known locations in Helsinki and the whole Helsinki area, for instance in the trendy “Bar Mendocino” in Helsinki as well as on the famous outdoor stage Espan Lava in Esplanadi park in the center of Helsinki. Wherever the five guys get on stage, they fill their Finnish audience with enthusiasm. The band released their first album „Juoppohullun Lokikirjat“ in 2016, which means something like “Logbook of a drunkard”. It includes five vivid songs. One of them is the song with the same name „Juoppohullun Lokikirjat“, which is a true story about a captain, who got crazy because of his alcohol abuse. Other songs from the album are Paholaisnainen (Devil woman), Syylistäjä (Accuser), Äänet (Words) and Mua Pelottaa (I am scared). Moreover, the the five musicians released another single called „Elämäni kesä“ (The summer of my life) and in spring 2018, the band published their first music video of their the new song „Sateisena Sunnuntaina“ (On a rainy Sunday). If you like to check out the band’s music, just check out their songs on Spotify or I-Tunes! More information about the band also on www.alexjaarmottomat.com as well as on Facebook.